J.D. 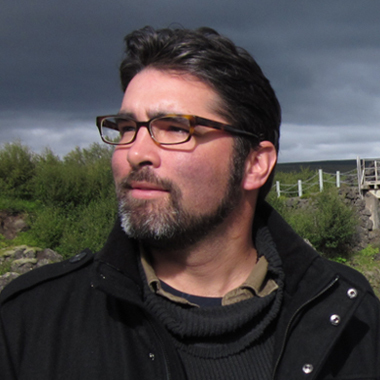 Lenzen is the creator of the highly acclaimed YouTube channel "Tying It All Together", and the producer of over 400 instructional videos. He's been formally recognized by the International Guild of Knot Tyers (IGKT) for his contributions to knotting, and is the originator of Fusion Knotting—the creation of innovative knots and ties through the merging of different knot elements or knotting techniques. 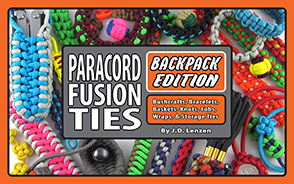 His published instructional knot books include Leather Corded Fusion Ties (2016), Paracord Critters (2015), Paracord Project Inspirations (2014), Paracord Fusion Ties - Volume 2 (2013), Paracord Fusion Ties - Volume 1 (2012) and Decorative Fusion Knots (2011). More than simply another knot tyer, J.D. 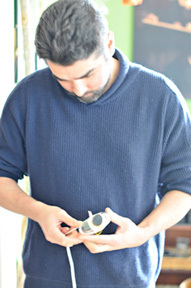 is an artist and considers knot tying a creative practice rather than an unchanging discipline. Knots, he believes, are like paintings, only twists, coils, and weaves replace the pigments and a length of cord is the canvas. So wander through and explore J.D. 's site. 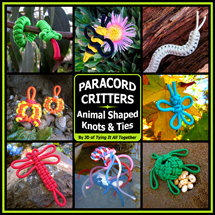 View his gallery of creatively inspired knots, historical knots, and their associated videos. Download all or a few of his free instructional videos. Visit and join the Fusion Knotting Forum. All these things and more await you! If you enjoy the instructional knot videos JD creates and would like to help offset his production costs, feel free to drop a few dollars in the tip jar via PayPal. Thank you for visiting, and thank you for supporting FusionKnots.com. The IGKT is a non-profit, educational organization dedicated to furthering interest in practical, recreational and theoretical aspects of knotting. J.D. is a member of the IGKT and supports their mission wholeheartedly. or private message him on YouTube. visit his Amazon Author Page.